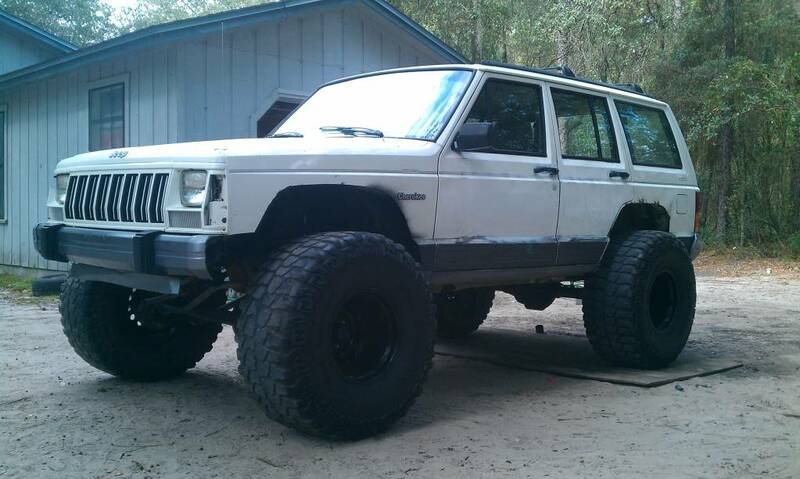 i just picked up a 1996 xj country. i am going all out on this one. the woman i got it from her son got killed in a motorcycle wreck. she kept it in her back yard for 5 years. she decided to let it go and i was the lucky one to get it. she told me what her son wanted and thats how i will build it. it has even been given her sons name by her request...."Ricky". what exactly are the plans for this one? thanks...still a long way to go. 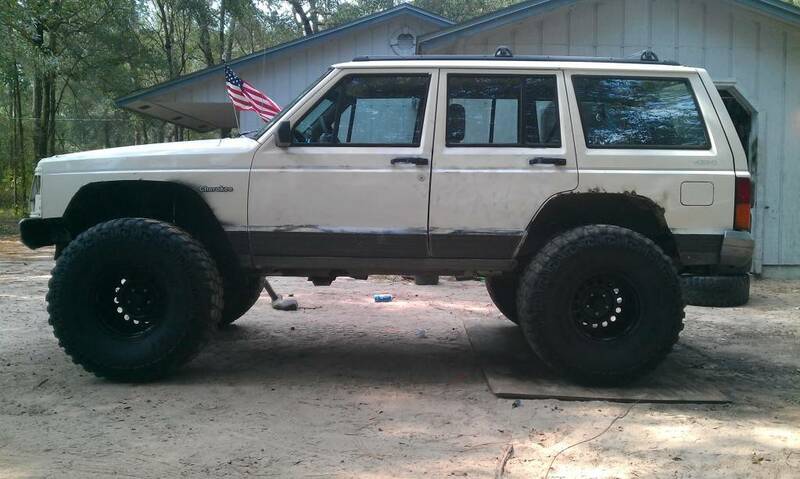 this is going to my rig and i am not going to sell it...missy will get the sportage i am building. got to figure out who to get the heater control to work...blower motor not coming on. um... did the SUV run and operate fine when you purchased it? Why not just drive it daily? it needs work...water pump,all new bushings and other stuff....sat for 5 years. OK, got it. I normally would not tear into an otherwise clean looking SUV. So what are the planes? Wagoneer axles? yes it will get better axles...don't know which yet. it has a d30 front an 8.25 rear. 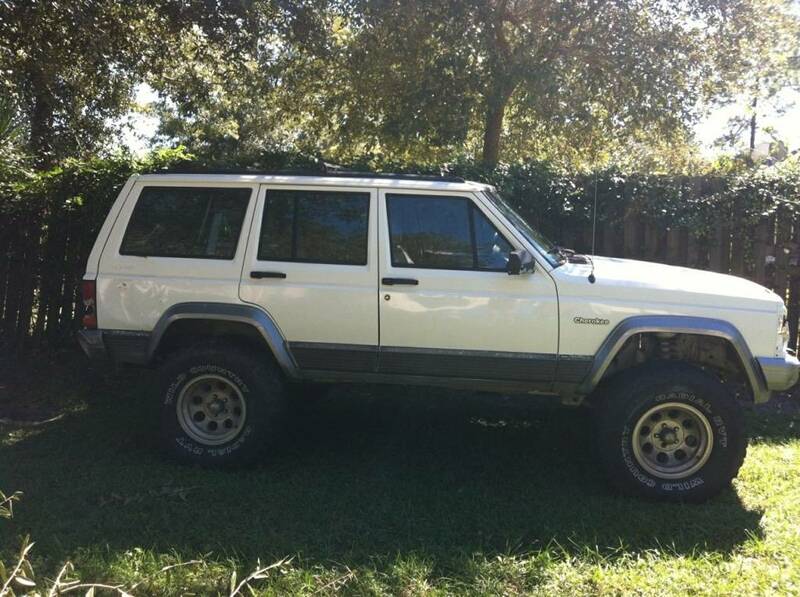 i will be going long arm on it to get the short arms off and getting bigger springs f/r to get rid of the spacers and shackle lift.getting a full rhinoline job and will be black/white and some camo in there somewhere. at least it doesn't have the D35 time bomb. I'd get the waggys with cromos and be done with it. Plenty capable. I'm going to be out your way late afternoon/ evening. I can stop by. 80-91 Waggy front's are driver drop . There good for what they are. However if abused too much the housing will bend. Well, mine is full width now. gimme a few months...lol...hopefully this one will be.